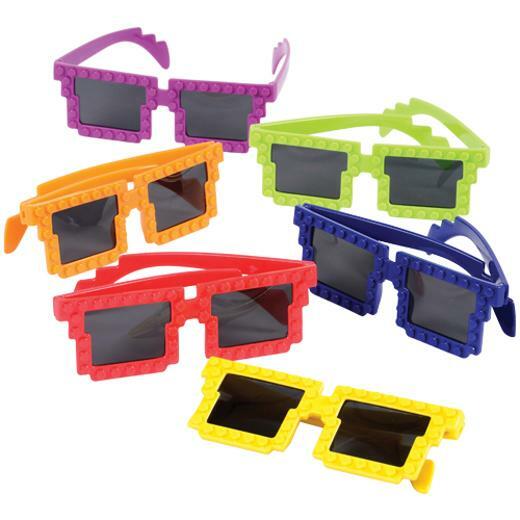 Cheap Block Mania Toy Glasses - 12 Ct. Create your own unique style - building bricks easily snap on to the frame! "Build" onto these glasses to make the perfect pair of shades! Your master builders can create their own unique style by adding building bricks that easily snap on the pegs which cover the outer glasses. Each creation can be their own and changed again & again, making it the perfect party favor for your next Block Mania event! L: 11.6 in. W: 6.4 in. H: 2.7 in.